We have a number of opportunities for sponsorship and volunteer hours. 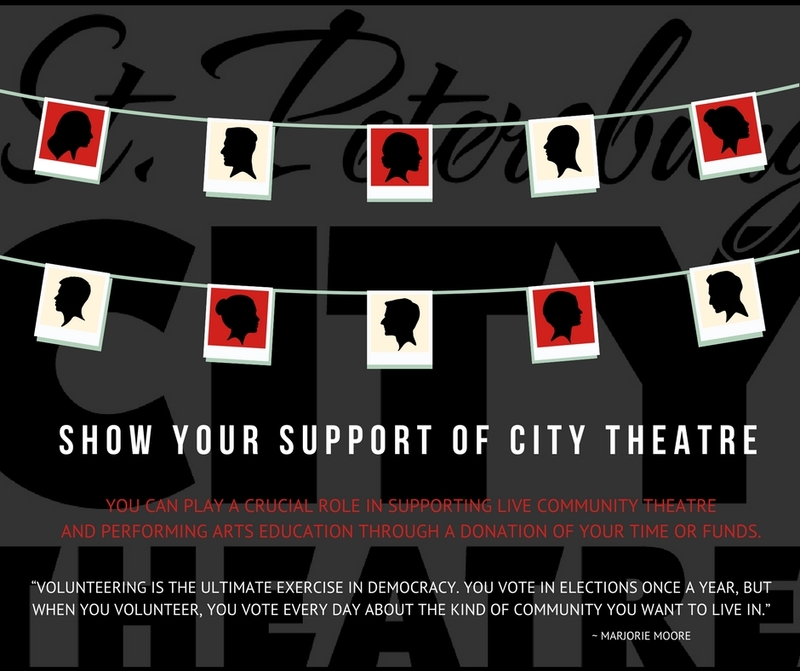 Call us 727-866-1973 or email: Execdir@spcitytheatre.org for more information on volunteer efforts to SAVECITYTHEATRE. We are kindly accepting donations here, every donation helps! 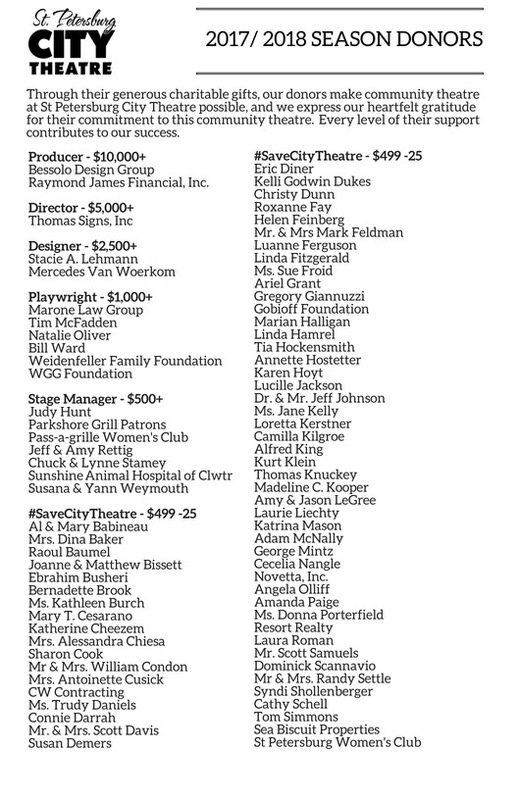 THANK YOU TO ALL OUR VOLUNTEERS AND FINANCIAL SUPPORTERS OF THE 2017/2018 CITY THEATRE SEASON. 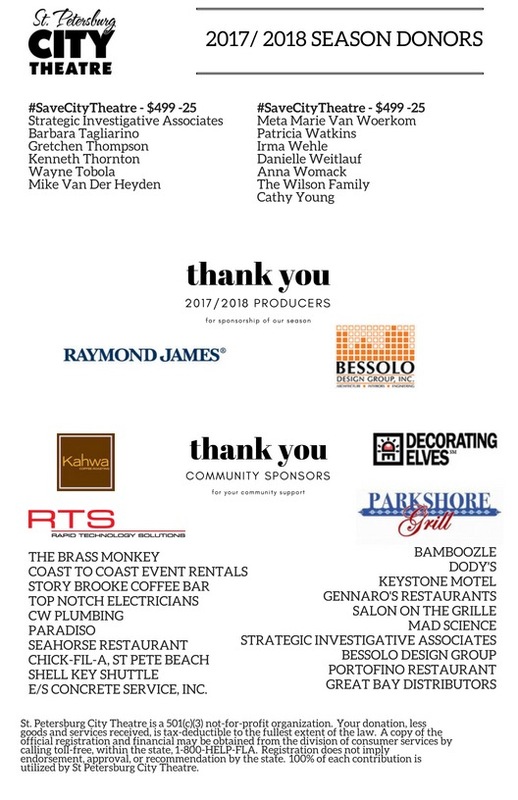 WE WOULDN’T HAVE BEEN ABLE TO DO IT WITHOUT YOU! 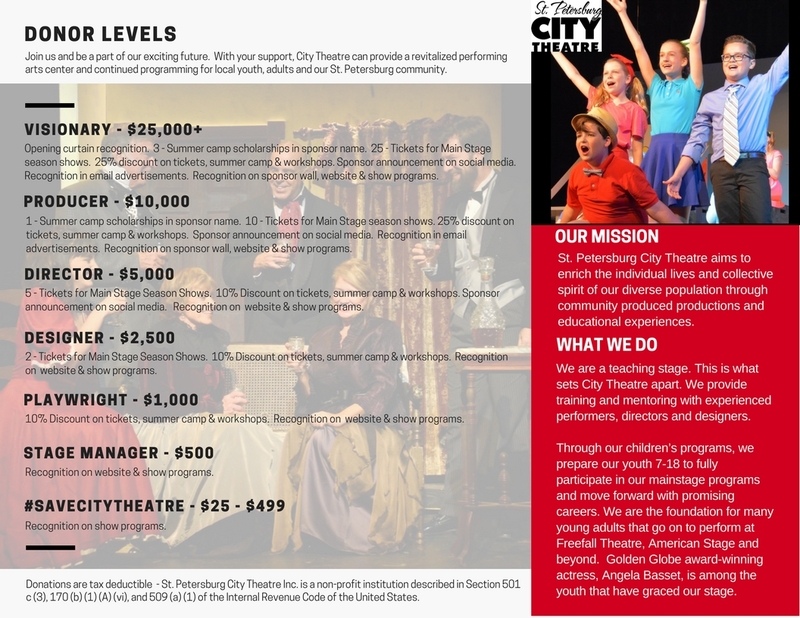 YOU ARE CITY THEATRE! AmazonSmile is a simple and automatic way for you to support your favorite charitable organization every time you shop, at no cost to you! When you shop at smile.amazon.com, you’ll find the exact same low prices, vast selection and convenient shopping experience as Amazon.com, with the added bonus that Amazon will donate a portion of the purchase price to your favorite charitable organization – St. Petersburg City Theatre.